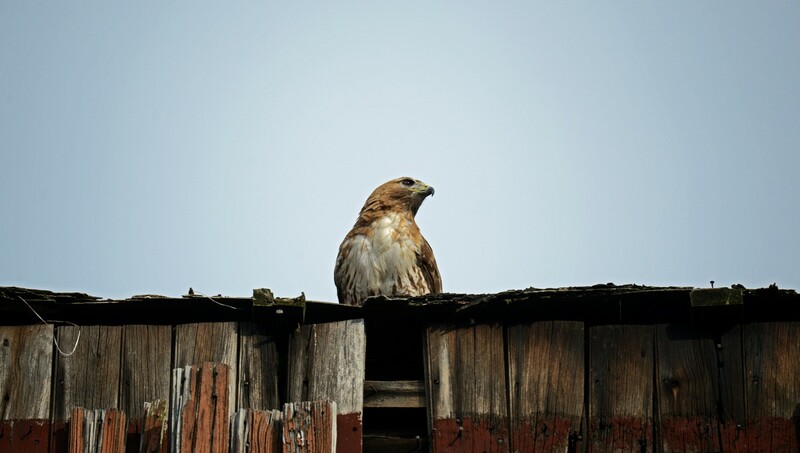 One night, as I was standing in the parking lot of Holyoke High School watching a hawk on its nest in the baseball stadium’s left-field light tower, two kids stopped to ask what I was looking at. The boy was wearing a junior ROTC uniform of dress blues; the girl, a t-shirt and cutoff jean shorts. I pointed out the nest and the hawk. The boy took pictures with a cell phone. The girl eyed my camera. When you look for birds in urban areas you get a lot of moments like these. Since I started writing about birds in Holyoke, I’ve realized that birding is often not just about the birds I see on my little excursions; it’s also about the people I meet. Sometimes it almost feels like that’s what I’m actually looking for. And, in turn, sometimes those chance meetings can lead to even more interesting ornithological discoveries. I was watching a pair of swallows dart around the canal one Sunday morning when an SUV rolled to a stop on Dwight Street. The woman in the passenger seat rolled down her window and asked what I’d spotted. I pointed out the little acrobatic birds. 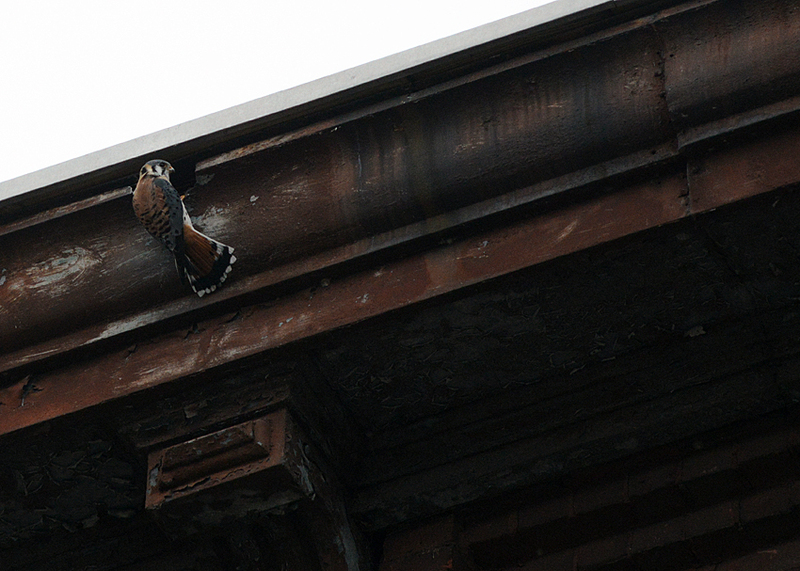 We started chatting about the hawks on Race Street and the falcons that I’d thought were nesting at City Hall. They actually live up in the Quarry, she said, and hunt in the city by day. I’d seen a kestrel exactly once in western Massachusetts, sitting on a utility pole near a farm field in Hadley. That’s where you’re supposed to see them. Moments later, we were pulling up behind a factory near Sargeant Street. Sure enough, two of the brightly colored little falcons were perched on a wire overlooking the canal. The birds nest in a nearby building, they told me. The driver turned out to be local wildlife photographer Don Cooper, whose work I’d seen and admired. His passenger was Linda Henderson, owner of the Holyoke Animal Hospital and an accomplished photographer in her own right. They told me they head to downtown Holyoke on most Sunday mornings to watch and photograph birds. We took a spin around the city: a look at a pair of Canada Geese nesting on the canal; another spot where they often see a second pair of kestrels; a check for Bald Eagles below the dam. When they dropped me off back where we’d first met, I was left wondering how many mornings I’d driven down Race Street on my way to work, mistaking the silhouettes of kestrels for Mourning Doves or pigeons. The presence of one pair of kestrels — maybe two — in the industrial areas of Holyoke is pretty remarkable, given the species’ decline in the state over the past several decades. The kestrel is one of just a few birds highlighted in Mass Audubon’s “Birds to Watch” program, which enlists the help of the public in tracking “declining, yet still viable” species. Unfortunately, our smallest falcon is in big trouble. Kestrels have been recorded in the Bay State since the early days of European settlement. Only fifty years ago, they could be seen perched on a tree or utility pole near any field of sufficient size. Now, they are becoming more and more difficult to find. 1. Can these observations encourage members of the traditional conservation and birding communities to take interest in neighborhoods they’ve been unlikely to visit, and that they may have even feared? 2. Can these observations encourage neighborhood residents, who may have been historically left out of the conservation dialogue, to take an interest in observing and nourishing the nature that surrounds them? In January, I gave a talk at the Arcadia Sanctuary about my observations in Holyoke. A few days later, several women who attended came to Holyoke to look for the eagles I’d talked about. I learned later that they were only in the city for a few minutes before they ran into Don and Linda, who graciously took them to see the kestrels, too.